Using Builder PRO you can create amazing structures on your map with just one click. How often do you have situations when you would like to create some kind of medieval house for survival, but do not know how to build beautifully? This is a fairly common problem for many players, but this application will save you from this! 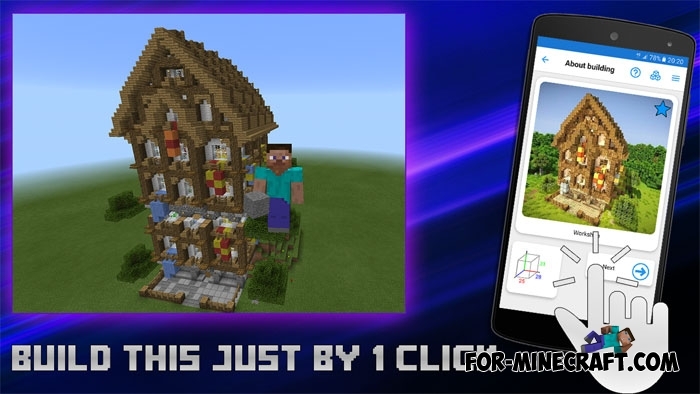 With the help of the Builder PRO, you can also learn to build your own unique buildings in MCPE independently! 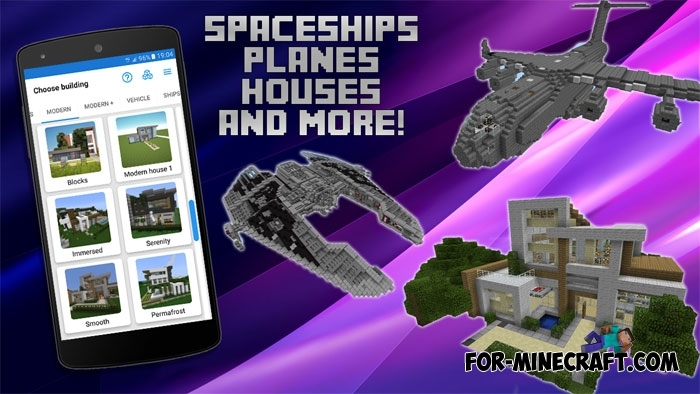 This is really one of the best applications for Minecraft Pocket Edition! 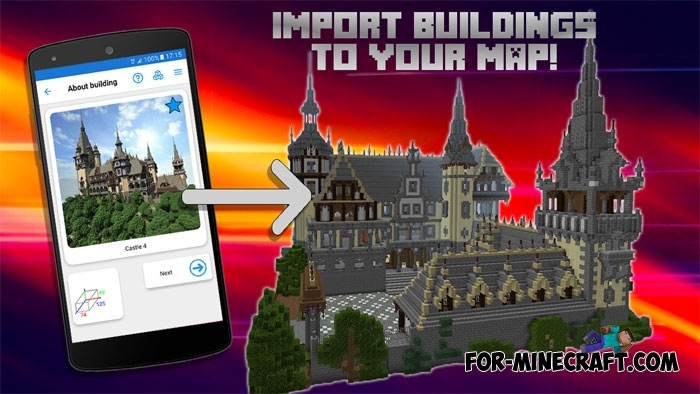 The main feature is that it is constantly updated with new buildings that you can create without connecting to the Internet! Support for Minecraft 1.2 (1.2.6 also). Here everything is quite simple, but below you can read the short guide for this app. 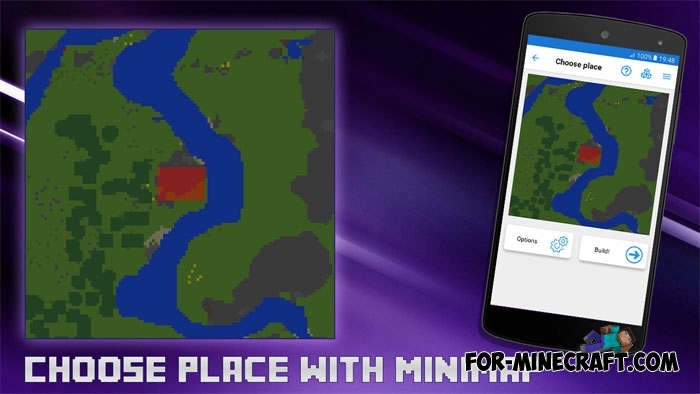 First, open your map in MCPE and stand in the place where you want to build something, then close the map. Run Builder Pro. You will see different categories: medieval buildings, modern and much more. You can see a brief information about the construction and its size. If you like it click the next button. Now select the world where you want to create it. After that, the application opens the window for editing the building. You can change the position, height, turn it. If you are satisfied, click the Build button. Wait a few seconds for the structure to be generated on your map. After that you can go into the game, choose the very world in which you created the building and enjoy it! 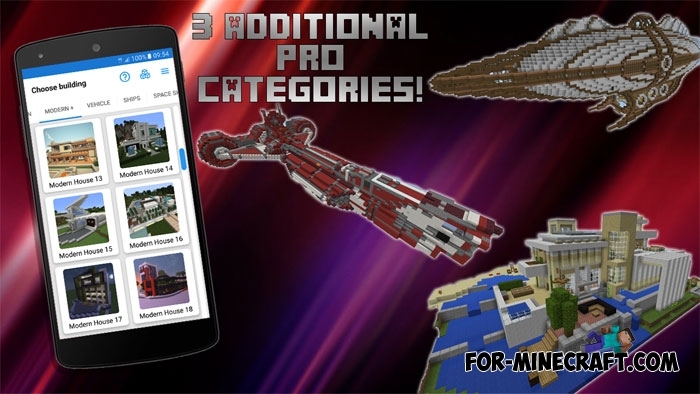 The Builder Pro app is updated very often, we will post new versions so that you can build what you have wanted for a long time!